Long ago when there were no containers everything which needs to be transported are individually loaded into the ship but that makes the loading and unloading of goods difficult. Then shipping companies came up with the idea of a container of different size, which can be quickly loaded or unloaded using cranes. This helps them to transport goods more easily. 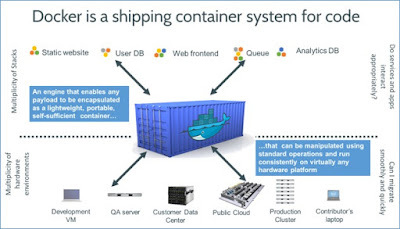 Docker works in the same concept but instead of goods, it carries software. If you know that software is not a monolithic piece but a collection of many different technologies e.g. database, web server, application server, configuration files, shell scripts etc. It's not easy to set up an instance of a complex real-world Java application because you need many different things, Docker solves this problem by putting everything you need into a container and deploy wherever you want e.g. on Linux, Mac, or Windows. This seriously helps all the DevOps guys who are trying to automate and simplify every step of software development. So, if you want to improve your productivity or want to move into DevOps space, good knowledge of Docker is essential. Btw, if you are a Java developer and can spend few bucks e.g. $9.99 then Docker for Java Developers is a great course to start with. It's written especially for Java developers. In this article, I'll share 5 free courses to learn Docker and Containerization online. These courses will teach you Docker from scratch right from the beginning of containerization and the benefit of deploying your application in a container and how Docker helps to achieve that. In these courses, you will learn what is a Docker, how it works and what benefits it provides. You will also learn how you can automate your software development and deployment process using Docker and other automation tools like Selenium. Some of the courses also explain Docker in depth by discussing Advanced Docker concepts and tools which can help you to both web developers and DevOps engineers like how you to set up a development environment with Docker quickly for a new developer or someone like designers, BAs and QAs. You can use Docker images to run the whole of your application on their machine. This is one of the best course to learn Docker, particularly for developers. It doesn't matter whether you are a Java or Web developer, you will learn a lot about Docker in this course. I started this course as a complete beginner, just heard the buzz around Docker and Containerization. This course not only explains to me what is a Docker and how it works but also clears many of my misconceptions. You will not only learn about Docker basics like what is Docker and why user docker but also learn a lot about practical stuff e.g. the course will teach you how to install Docker in Windows and Mac and how to set up your own development environment. It will also explain Docker Machine and Docker client and how you can add your source code into a container, building custom images with Dockerfile, communicating between Docker Containers, and managing Containers with Docker Compose. Overall, a great course to start with Docker. 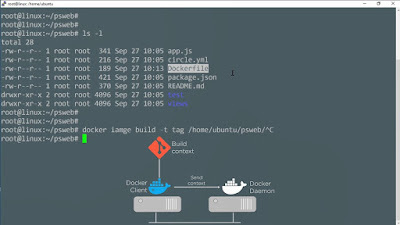 Btw, this was a paid course on Udemy which its author made it free for a limited time, so you should join and learn Docker before the course becomes paid again. This is another beginner level course on Docker. If you want to learn some basic concept of containerization and Docker like images and container and how they help the software deployment process then this is the right course for you. You will not only learn about containerization of applications but also learn how to install Docker in your local environment. 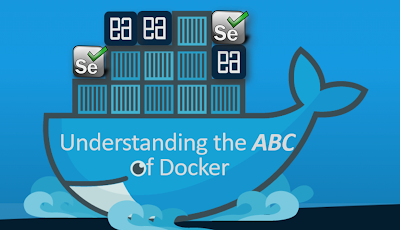 The course also explains some basic Docker commands to get you going. In short, a good introductory course on Docker and software containerization for software engineers, programmers, DevOps guys, and IT professionals in general. If you have heard all the buzz around Docker and containers and are wondering what they are and how to get started using them, then this course is for you. In this course, you will learn how to install Docker, configure it to use on your local system, clone and work with Docker images, instantiate containers, mount host volumes, redirect ports and understand how to manage images and containers. After completing the course, you will be well on your way to implementing containers in your environment while having a firm understanding of their use cases, both for and against. In short, a great course for anyone who wants to learn what Docker containers are and how to use them in their environment. This is a little bit a different kind of course on Docker. The course is focused on testing automation using Docker. In this course, you will not only learn about Docker like what is a Docker and how to setup Docker instance in your local environment but also how you can integrate Selenium with Docker for automation testing. All three parts are intrinsic, meaning they are interdependent on each other and hence sometimes you may need to go back and forth to get into some related concepts. First two parts deal with Docker and its related commands, whereas in third section one much have knowledge on Selenium with C# to write code on the visual studio for running tests in parallel on multiple containers and multiple browsers. Overall a great course to learn Docker basics for Developers and Testers. Even DevOps can benefit from this course because it talks about infrastructure and Automation. This is an official Docker training course from Red Hat. In this course, Jim Rigsbee, a curriculum architect for Red Hat Training, will introduce you to container technology using Docker running on Red Hat Enterprise Linux. In last a couple of years, Docker has become the de facto standard for defining and running containers in the Linux operating system, while Kubernetes is Red Hat's choice for container orchestration. OpenShift, built upon Docker, Kubernetes, and other open source software projects, provides Platform-as-a-Service (PaaS) for the ultimate in deploying applications within containers. In short, a great course for System administrators, application software developers, and anyone who wants basic foundations on Docker, Kubernetes, OpenShift, and Platform-as-a-Service capabilities. That's all about some of the free online courses to learn Docker for DevOps, Java and Web developers. 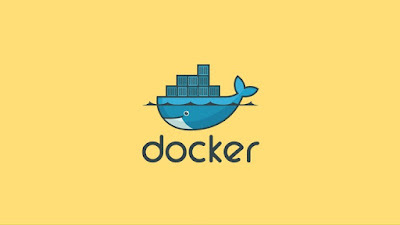 Docker has become an important part of how you deploy your web application and this container based model of deployment is getting more and more popular. Docker is a great skill to have on your resume, particularly if you want to move on DevOps space, as there is a lot of demand for developers with automation skills like Docker, Jenkins, and Selenium. Thanks for reading this article so far. If you like these free Docker courses then please share with your friends and colleagues. If you have any questions or feedback then please drop a note. P. S. - If you want to learn both Docker and Kubernetes then I suggest you to also check out Docker and Kubernetes: The Complete Guide course on Udemy. It's not free but it's worth every penny you spent and you can get it under $10. Thanks for heads-up, I'll remove it.